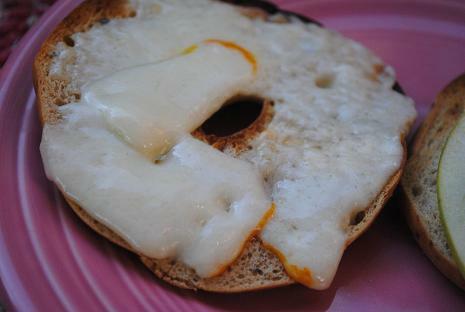 Good news for those of you who are sick of my cinnamon raisin and muenster cheese bagelwiches… I am now out of both muenster cheese and cinnamon raisin bagel thins. Boo! Sadie wanted in on this hot fire after she shivered through our morning walk. I wasn’t about to give up a bite of my breakfast, but I did give Sadie a piece of chicken jerky and played her new favorite song aloud on my phone for her. Take it Away, Babe Mice! And before I forget… This morning’s workout included a BodyPump class followed by 20 minutes on the elliptical. I spent my time on the elliptical reading Better Homes & Gardens. I naturally I skipped every single page about gardening because I kill any plant I come in contact with, but I lingered over the incredibly beautiful pictures of the homes in the magazine and daydreamed about the day when Ryan and I have a house of our own to decorate. I can’t wait! 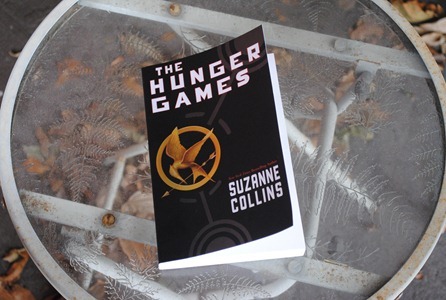 Thanks to the recommendations that I received from many of you, about a month ago, Ryan and I started reading The Hunger Games series by Suzanne Collins. If you want to read a true page-turner, pick up any book in this series. Ryan and I both agreed that the books are captivating, exciting and fun to read. The series is not a “feel good” series. I went to bed at night feeling uneasy and had many restless nights which I can only attribute to these books. The books are not scary, but they are suspenseful. There is an underlying romance in the books, but they are not Twilight-esque in that the main character, Katniss, isn’t about to fall over and die for a boy (which made me like her a lot more than Bella the pansy). The ending of the final book was just okay. I would’ve appreciated a more finite ending… perhaps something a little more warm and fuzzy, but the books are still absolutely worth a read. Now that we’ve wrapped up these books, we’re ready to start something new! You guys knocked it out of the park last time, so I’m hoping you may have some good suggestions for us again. Ryan and I are looking for a book to read together, so recommendations for books by Judy Blume or Nicholas Sparks may not be up our alley (though they’re totally up mine)! If you liked the Hunger Games and want another non-adult book series- I would recommend the Percy Jackson and the Olympians series. The first one is Percy Jackson and the Lightning Thief. My man and I both read these (well I read them and he got the audiobooks) and loved them!! ryan & i read those together, too! he LOVED them! The Girl with the Dragon Tattoo! I just finished it, and I can’t wait to start the next one in the series. Thanks for the review of the book — it is actually next on my list to read! Try The Maze Runner by James Dasher. Just as much of a page turner as Hunger Games. It’s a trilogy too, but only 2 of the books are out so far. I’m on the library waiting list for the second book in the series and I can’t wait!!!! Definitely The Help by Kathryn Stockett! My husband and I both were trying to read The Help (to ourselves) at the same time and were vying for time with this book. Sooo amazingly good! I love many of the books that have been recommended so far (loved The Help) but am going to piggyback off what Amanda said earlier: The Art of Racing in the rain. It’s told from a dog’s point of view, and it an AMAZING book, it’s a page turner, and it will stick with you for a long time. I also recommend Chains by Laurie Halse Anderson – one of my favorite YA books, about a slave living at the begining of the Revolutionary War. Not only is the book AMAZING (there’s pain, there’s love, there’s history) but it’s part of a series, so you can really get into them. I just finished the last book int he HG series too which I read at your suggestion. I felt the same way, anxious but I kept reading because i was so captivated! I REALLY loved it and hear they are making a movie. I actually like the ending though. I thought it could be pretty realistic for a war satire/coming of age story. I actually shed a tear, I was into the story! If you both liked “The Hunger Games” you should try out the Percy Jackson and the Olympians series. It’s more on the kid side of young adult lit, but if you both like sci-fi/fantasy, it’s worth checking out. The reads are super short, not nearly as intense as the HG, but really entertaining. we read those last year & liked them a lot! I definitely want to read that series of books! Thanks. I’ve eaten the same thing for breakfast every day for approximately the last month. Why mess with a good thing! I highly recommend the trilogy “Uglies”, “Pretties” and “Specials” by Scott Westerfeld. They are set in the future (where our era is known as the Rusty Era because we left a lot of steel behind us), and to stop body image issues and make everyone equal, everyone undergoes an operation when they turn 16 and becomes “Pretty”. But there is something sinister going on, and some people think that there is more to the operation than the authorities are letting on. The main character, Tally, reminds me so much of Katniss, in that she is strong and, in the end, knows her own mind. They are unputdownable and unforgettable. You won’t regret it! I have wanted to read the Hunger Games for so long! I definitely need to get on that. It’s so riveting … it’s about an Olympic runner who gets drafted to fight in World War II. I’m guessing that as a runner, you would love some of the parts about his training, etc. I assumed they were about food, too! Interesting. I loved The Help, but think it might be distracting to read aloud with all of the dialect. Would be good to listen to on CD together. I always enjoy a series of “Jack Reacher” books by Lee Childs. Reacher was in the army, military police, and now doesn’t like to be tied to one spot. So he roams around and is always taking care of other people’s problems. As a female, I like them, but they are not girly at all so think Ryan would like the. And I agree with other’s recommendation for The Art of Racing in the Rain (esp since you are dog lovers), but keep the tissues handy. I just finished Ted Kennedy’s memoir True Compass and found it a great read with a lot of background into the family life of the Kennedys. “One of the best books I have ever read. It has drama, suspense, romance, and enough plot twists to keep the most savvy reader breathlessly reading until the heart-wrenching conclusion. William Kane and Abel Rosnovski both enter the world in 1906 on the very same day. One is born to a wealthy, socially prominent Boston family. The other is born in poverty in Poland to an unwed woman who dies during childbirth. They each have a remarkable life story that makes for spellbinding reading until the finale in 1963. Abel is rescued from the woods beside the body of his dead mother by a hunter and taken into a peasant family. The Russian occupation of Poland, his fearful and solitary escape to Turkey and later America, will have you cheering this tough young boy. Meanwhile, young William Kane is growing up in the lap of luxury, attending the finest schools, and winning every honor his father before him achieved. You will be fascinated by Archer’s storytelling and the vivid characters he portrays. You will root for Abel and take him to your heart. You will be fascinated with William and wish only the best for him. Unfortunately, when the two characters cross paths as young men, a fierce hatred erupts and they become life-long enemies, as Abel swears to destroy William Kane. I’ve read it multiple times. It’s seriously so, SO good!! 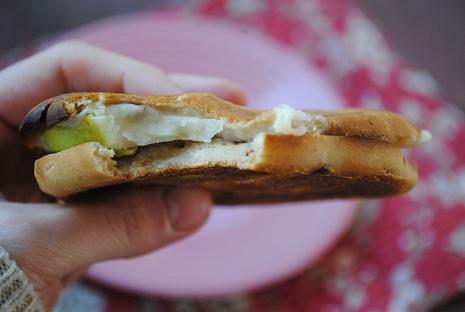 Cheese and apple is such a fantastic combination! Yum! I would definitely recommend reading THE GIRL WITH THE DRAGON TATTOO. It’s part of a trilogy, so.. if you like the first one… that means you still have two more to look forward to 🙂 I literally could not put it down and have already snatched up the second in the series, THE GIRL WHO PLAYED WITH FIRE. Great books for a girl or a guy. I will never get sick of hearing about your bagelwiches! 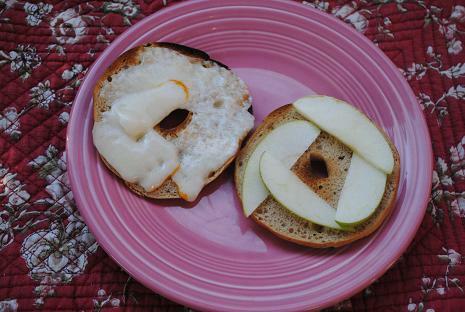 Thanks to you, I am totally addicted to the cheesey, apple, cinnamon bagel thin sandwich. It never gets old! The Girl with the Dragon Tattoo trilogy!!! SO good. Ha ha, I love your first thought about the book not being about food! 🙂 I’ve heard this is a good series, but I haven’t read them yet. I’ve heard The Girl with the Dragon Tattoo is great too. I LOVE Scott Westerfeld 🙂 Have liked everything I’ve read by him except for the Leviathan seires. For some reason they just didn’t click with me. I agree with the people who have brought up the “Uglies” series by Scott Westerfeld…do read them:) I also love “The Hunger Games” books and have gotten other people I work with hooked on them as well. I also someone mention “The Book Thief” and I absolutely adored that book too. I have to recommend The Art of Racing in the Rain too. 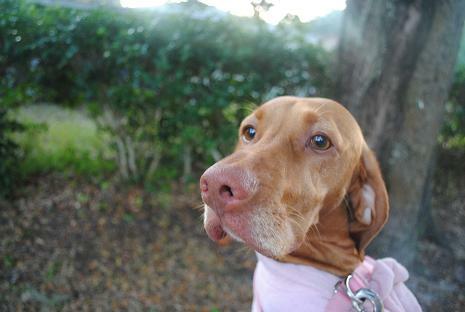 It is from a dog’s point of view and is so smartly written – makes you wonder what your dog is really thinking!! I also really enjoyed the Girl with the Dragon Tattoo and books that followed. Next on my list are Water for Elephants and Room! I can’t praise the book Still Alice by Lisa Genova enough! I have read it 3 times. I also just read a novel by the same author called Left Neglected and it was also incredible 🙂 Just some more to add to the list! ahaha, your Better Homes & Garden magazine reading style is so spot on. I’m a little old school at times when it comes to books. My hubby and I read together too! We’ve read all the Narnia books together (easy read and brings back memories from childhood!) and several by John Grisham. My favorites were Playing for Pizza and Skipping Christmas – both are fun and would be a nice break from intense, gripping lit if you’re looking for something a little lighter. So good. My husband LOVES them. I do too. I have never commented on your blog before now but have been reading for a few months since I found someone else who loves peanut butter as passionately as I do! I totally agree with you on everything you said. I finished the series in 5 days. It was so captivating, one of the best series I’ve read. I wanted to just read as fast as I could to figure out what would happen. It also made me a little on edge too, or maybe a bit sad. It’s weird how books can make an effect on someone. I also agree with the ending. I guess the point is that they are moving on but it’ snot some cliche. They still have to live with the past of what happened and the boy will always have some issues from getting hijacked. I want to read the mazerunner now that I saw your recommendation for it today. This is very belated, but I made myself skip this post until now because I hadn’t finished The Hunger Games and didn’t want to catch any spoilers in the review or comments! Just finished this afternoon… whew. I was going to recommend the Millennium series as a great read for guys and girls, but I see that a whole lot of people beat me to the punch 🙂 My parents actually listen to audiobooks together a lot (sort of similar to your reading arrangement with Ryan) and I reviewed the Millennium series on my blog (no spoilers!) to help them decide whether to get these books next! 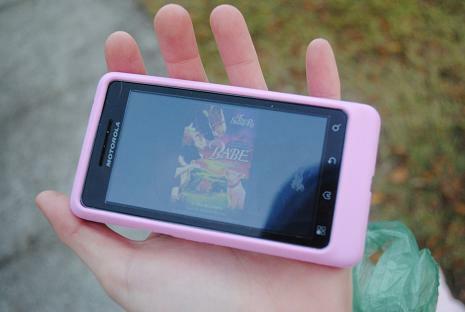 It’s at http://juliesinnewzealand.blogspot.com/2012/02/reading-rainbow.html if you’re interested. They picked them up the next day and haven’t stopped listening since! Wow. I was barely able to put this book down for a second after the first few pages got me completely hooked. Suzanne Collins narrative here has an immediacy to it that, when combined with the very dramatic life-or-death plot, is incredibly compelling. It’s entertaining, and incredibly disturbing all at once. Heya just wanted to give you a quick heads up and let you know a few of the pictures aren’t loading correctly. I’m not sure why but I think its a linking issue. magnificent. I really like what you’ve bought right here, certainly like what you’re stating and the way wherein you say it. You’re making it enjoyable and you continue to take care of to keep it smart. I can not wait to read much more from you. This is actually a tremendous web site.